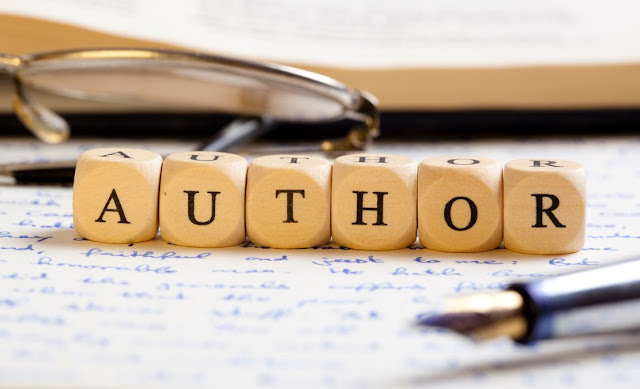 According to statistics, 90% of bloggers aspire to become a published author. Out of that 97% do not finish writing what they begin. If you have written a novel, congratulate yourself, sit back and bask in the glory. You persisted in chasing your dream while the others were busy being busy. You have become a member of that rare 3% who succeeds in completing their novel. April A-Z Challenge this time might change this statistic I guess. The percentage of people who are going to emerge as winners are surely going to be very high. People who persist for a whole month, writing every day for a month. Blogchatter is going to guide the A-Zers registered with them to publish their eBook using their A-Z posts, get it reviewed and market it as well. A book is born through hours and hours of dedication. There is no short cut. 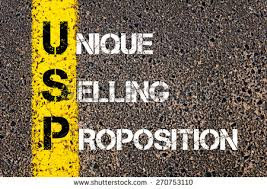 In this era, publishing has become easy with the advent of many self-publishing platforms like Amazon, CreateSpace, Kobo etc, authors are able to find a platform for their stories easily. Get a detailed insight into the various online platforms available here. 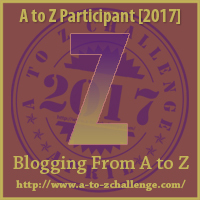 Many of the bloggers I know are publishing eBooks based on their A-Z challenge. Anmol Rawat is planning to terrorize his readers with an A-Z anthology of Horror stories. Tina Basu is about to make her readers drool with an eBook of desserts. Paresh Godhwani is writing an A-Z memoir about Travel in the Local Train. Dr. Amrita Basu is publishing an eBook about the A-Z of fruits. Vinodini Iyer is publishing a collection of A-Z letters to her son filled with wisdom to face life in its many facets. Deepa Malhotra Gandhi’s eBook is filled with A-Z parental wisdom. Mayuri’s eBook is a collection of her favorite Indian sweets with an associated memory or incident from her life. Roma Gupta Sinha is writing a heartwarming love story. Upasna is writing the A-Z about minimalism. Many of these bloggers are already published authors. This time they are taking the e-route via Blogchatter. 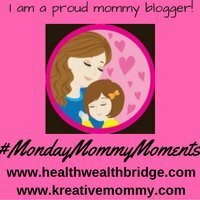 If you wish to read these posts before they are taken down, rush to their blogs. 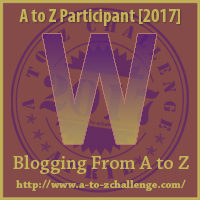 Though my initial intent was to convert my A-Z posts into an eBook, I realized these posts were bringing organic traffic to my blog as my theme was A-Z essentials of writing a Novel, which is a much-searched topic online. Hence these posts will remain on my blog. As this month is proving, the distance to getting published can be just a month. 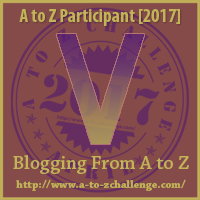 Are you planning to publish an eBook using your A-Z posts? Have you read the Letters A, B, C, D, E, F, G, H I J K L M N O P Q R S T U V W X? What if questions govern a writer’s life in a multitude of ways. To begin with, it helps a writer create. 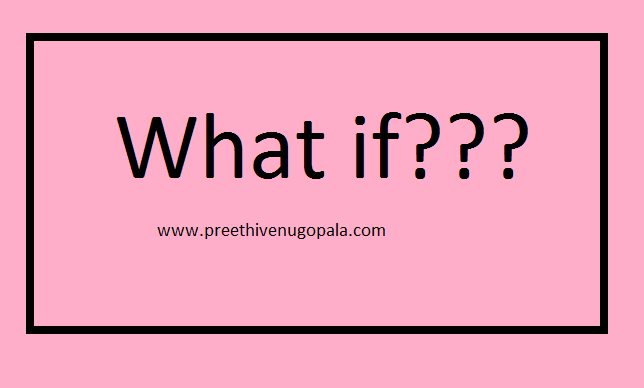 A story idea might originate from a simple ‘what if’ question. A spectacular twist in the story comes out of a ‘what if’ idea. The various dimensions of a character become evident as answers to different what if questions. The pace of the story, the character arc, the climax, the ending… every element becomes different from a similar story when the writer attempts to give life to a ‘what if’ idea. A writer brings in variety and newness into the scene ideas, the dialogues, and the conflicts by asking many what if questions. What if the villain turned out to be an extraterrestrial? Such a question is bound to change the genre of the story. What if the characters begin to speak as if they were given different scripts? It can lead to hilarious situations or create conflicts. What if one of the characters dies unexpectedly? This technique is widely used. ‘Kill your darlings’ is a tactic often adopted by authors when writing a book series. The Harry porter series sees the death of at least one prominent character in each book. Yet, ‘What if’ questions also hinder creativity. It is one of the main questions that can bring in fear. What if I am not meant to be a writer? What if I am not able to complete this novel that I have begun? What if this book turns out to be the worst book ever? What if I face multiple rejections from agents and publishers? What if the readers hate what I write? What if the critics tear my book apart? What if this book doesn’t match the popularity of the previous one? What if I earn peanuts as a writer? What if… such fears haunt the writer and the result is often ‘Writer’s Block’. It is for us to decide whether we will use this simple phrase to create a question that will make us create or block our creativity. Do you think what if questions are powerful? Have you read the Letters A, B, C, D, E, F, G, H I J K L M N O P Q R S T U and V? The theme of a story/novel is its central idea, pulse or the message that the author wants to convey to the reader. Books can have multiple themes. For example, the entire Harry Potter series explore the theme of good versus evil. We root for the good wizards like Harry, Dumbledore, Hermione, Ron, Mr. Weasley etc while they fight the dark wizards led by Lord Voldemort. It also has the theme of Love. Love is proclaimed as the most powerful magic which even the darkest magic can’t defeat. Harry is alive only because his mother’s love protects him from harm. She sacrificed her own life to protect him. What are some of the common themes explored in fiction writing? Most books will have a central theme around which the entire story revolves. Let us check some examples. Ambition: In ‘Macbeth’ Shakespeare tells the tale of the unbridled ambition of Macbeth to become the King which eventually leads to his downfall. Betrayal: The central theme of ‘The Invisible Man’ by HG Wells is the betrayal by the people and ideals that the protagonist trusts. Coming of age: Harper Lee’s ‘To Kill a Mocking Bird’ is a coming of age novel along with being a book that deals with racism and atrocities suffered by minorities. It sensitively portrays the life of a young boy who grows up during difficult times through shocking yet realistic events. Deception: ‘Much ado about Nothing’ by Shakespeare is based upon planned deceptions, both malevolent and benign. Discovery: ‘The Tempest’ by Shakespeare. After the characters get lost on the island, they discover many truths. Escape: In ‘The Glass Menagerie’ by Tennessee Williams the theme of escape is used to drive the play forward. The characters are driven by the hope that escape is possible. Friendship: Harry Poter Series has friendship as one of the strongest themes that drive the story forward. 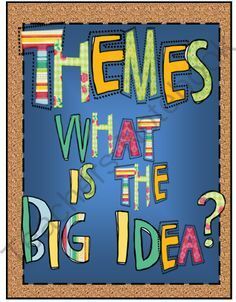 What is your favorite theme in fiction? 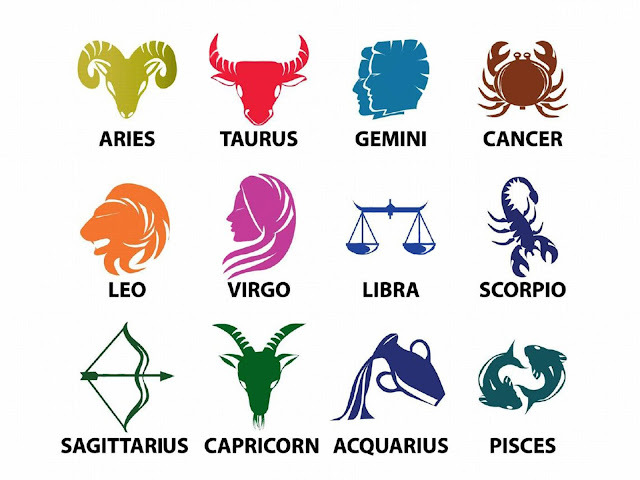 Have you read the Letters A, B, C, D, E, F, G, H I J K L M N O P Q R and S?